Jalandhar :Marking the birth centenary year of the pioneering British computer scientist Maurice Wilkes,two day International Conference on Computing Sciences- ‘WILKES 100’ inaugurated today at the host Lovely Professional University. The 2nd version of the conference is held in association with International Neural Network Society (INNS-India Regional Chapter) and Advanced Computing Research Society (ACRS). About 100 research papers will be presented during conference from near 300 received from the registered national & international participants from US, UK, Iraq and top educational institutions of India. Special session organizers Dr Abbas M Al-Bakry from Iraq, Dr Cain Evans from Birmingham UK remained among many other international scholars who forwarded great research contributions. Topics touched of great interest are Security and Privacy; Data Engineering; Pattern Recognition and Artificial Intelligence; Mathematical theory of Computability; Internet & Services Computing, and Hardware Systems & Architecture. Some of the interesting research papers like ‘Novel Approach for Performance Evaluation of a DHT based Multi-Path Routing Protocol’ provides solution for routing in Mobile Ad-hoc Networks. ‘Neuro-fuzzy Inference System for Rainfall Prediction over Northern India’ talks about a model which can predict about rainfall amount in the area. ‘Virtual Machines Purveying and Migration Services in Cloud Computing’ tells that maintenance, upgrades, patches etc are easier and require no time to complete. All these proceedings will be published by the leading world renowned publications ‘Elsevier’ and distributed to the registered authors. The proceedings will also be available on Elsevier Science and Technology website. 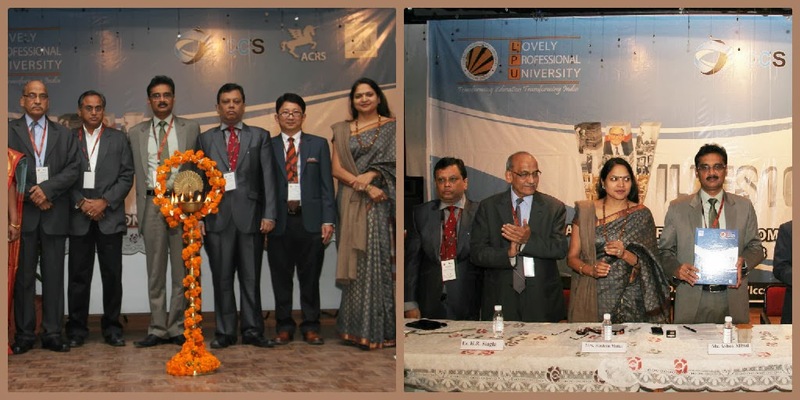 While welcoming reserachers ,academicians,people from Industry and inaugurating the conference,LPU Chancellor Mr Ashok Mittal said : "LPU has put all its energy to bring research at the fore front in all disciplines of the university.I am happy to see that the 2nd edition of the ICCS has been well devised by the School of Computer Sciences which has taken a new lead this year.Availability of such a large participants and paper presentations clearly reveal that through right initiatives India can become research power-house as well. "Mr Mittal added : "I hope the research papers to be presented will prove of immense help and utility to the common persons,and solve out our day to day problems in the computing processes." Illustrative, INNS is the premiere organization for individuals interested in a theoretical and computational understanding of the brain. It further applies this knowledge to develop new and more effective forms of machine intelligence. Whereas, ACRS has a large membership of computing researchers which promotes scientific, educational, technical, research and developmental activities in the area of computing.